I was such a huge fan of Raze that I was beyond excited when I heard that there was another book. 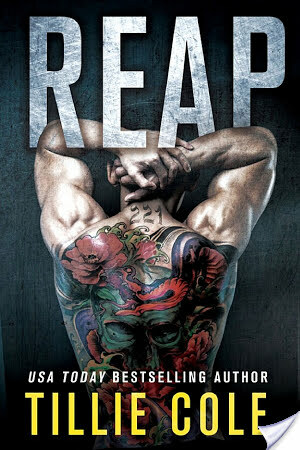 Reap is the story of 221, also known as 362’s brother who helps Raze in the Gulag. Now known by his real name, Luka (Raze), learns that his friend had a brother who is also in the Gulag and tries to save him. But 221 has been brainwashed and is feral beast with no memory of who he was. What we get is a totally gut wrenching story of turning the Beast back into a man but who still retains some of that beastly quality. Talia, Luka’s sister, begins to help him piece his humanity together and as his memory returns, we see glimpses of his past of how and he and his brother came to be in the prison. I was engrossed throughout the story, just as I was with Raze. This author is such an amazing story teller and all of the books I’ve read of hers so far always have me reading beginning to end without stop. You feel every bit of Zaal’s pain. Every overwhelming emotion that surges through Talia as she struggles with her feelings for him. The fear, the rage, the love, is all so beautifully written. I’m seriously in love with this series. And that ending!!!! OMG! I can’t wait for the next book! “He devoured me with his mouth. He dominated me with his strength.